Stock # HC064937, Twin Turbo Premium Unleaded W-12 6.0 L/366, 715 mi. Scores 20 Highway MPG and 12 City MPG! This Bentley Flying Spur boasts a Twin Turbo Premium Unleaded W-12 6.0 L/366 engine powering this Automatic transmission. Wheels: 20" 6 Tri-Spoke Painted & Diamond Turned -inc: Alloy, Wheels w/Locks, Voice Activated Cell Phone. Valet Function, Trunk/Hatch Auto-Latch, Trip Computer, Transmission: ZF 8-Speed Automatic w/Quickshift, Transmission w/Driver Selectable Mode and Sequential Shift Control w/Steering Wheel Controls, Tires: P275/40R20 BSW, Tire Specific Low Tire Pressure Warning, Systems Monitor, Speed Sensitive Rain Detecting Variable Intermittent Wipers, Spare Tire Mobility Kit. 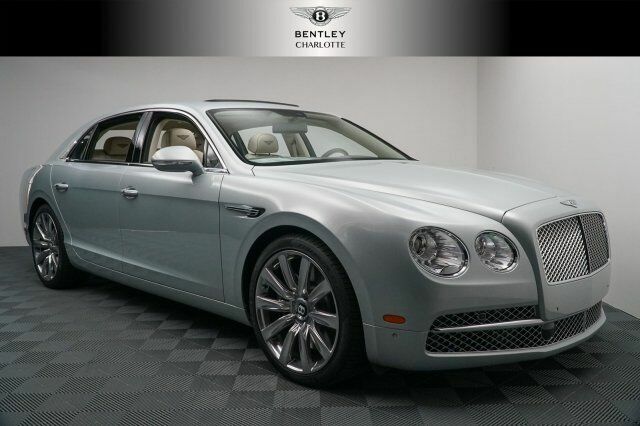 Come in for a quick visit at Foreign Cars Italia Charlotte, 416 Tyvola Rd, Charlotte, NC 28217 to claim your Bentley Flying Spur!